R G A Solutions Home Improvement Corp. Comment: I have a 25 x 14 foot screened porch and some window screens that I would like re-screened. Also, an aluminum frame bar needs to be tacked down to porch's slab. Comment: replace one fixed glass window that is 73 inches wide and 62 inches high with one or two fixed glass windows with grilles on the outside and inside. Southern Image Screen Repair, Inc.
3212 E. Crystal Lake Ave.
Orlando Window Replacement Companies are rated 4.72 out of 5 based on 846 reviews of 42 pros. 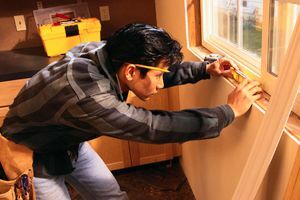 Not Looking for Windows Contractors in Orlando, FL?